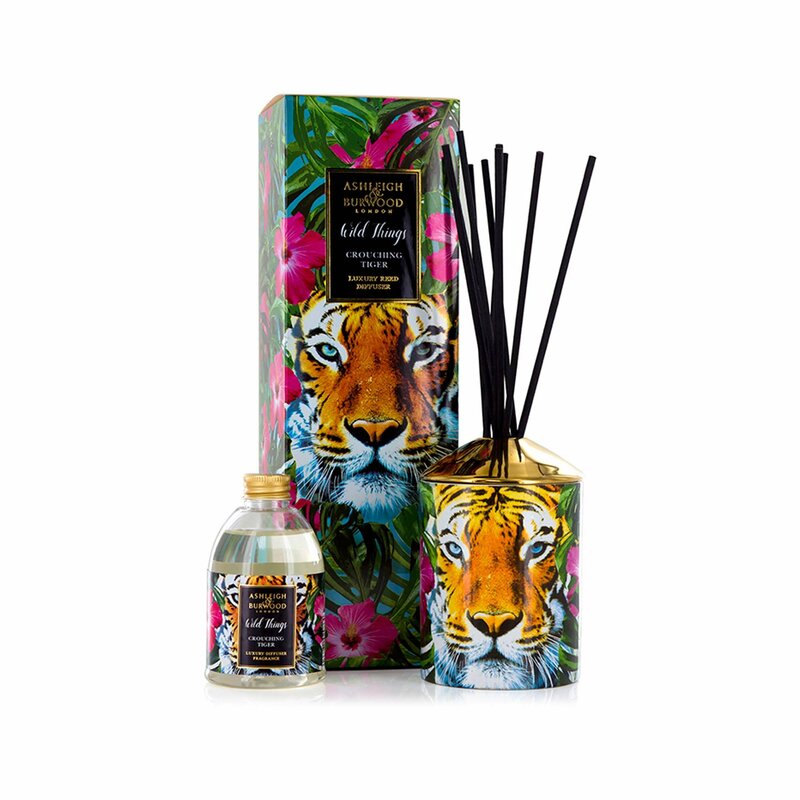 This beautiful tiger diffuser is inspired by the jungle and is a glamorous addition to any home. 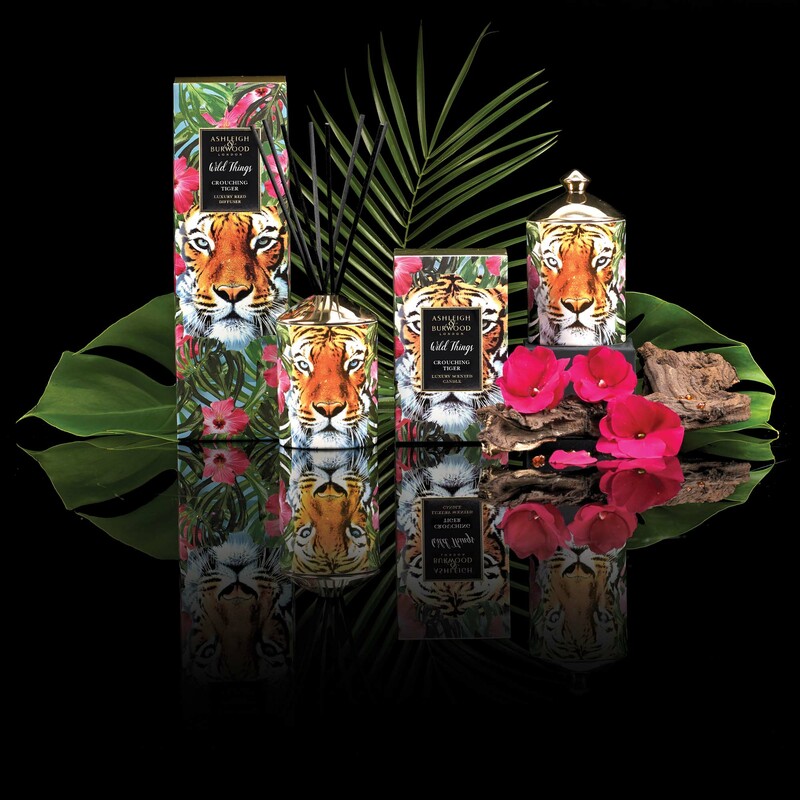 Designed with lovely imagery of a tiger within the leaves of the jungle. As well as spreading a gorgeous scent, this diffuser is the perfect decorative piece. The scent itself is fruity and exotic to give the tropical feel of the jungle. This tiger diffuser would make the perfect gift as it comes in an elegant gift box.